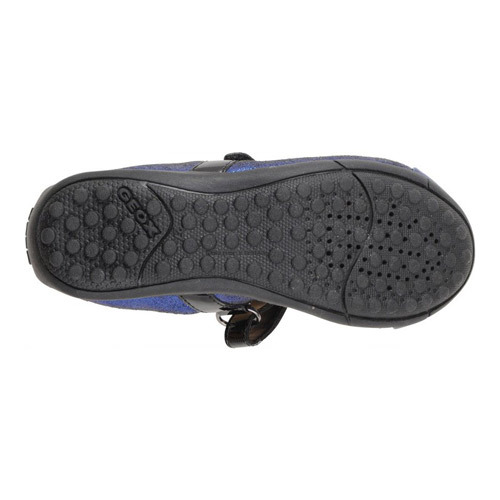 Geox Piuma Bal Royal – royal blue ballerina-style party shoe, with a patent synthetic upper, elasticated strap fastening, and with Geox breathable leather insoles & patented soles. 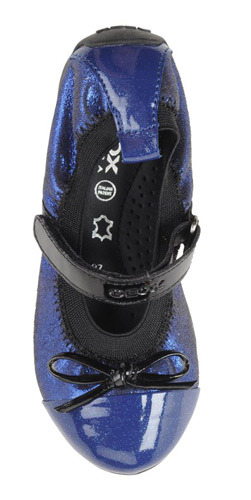 Girls will love having these Geox ballerina flats in their wardrobes. The rubber outer sole of the J Piuma Ball B ensures comfort and durability. We know someone who wants them!